Pricing on AMD’s entire range of upcoming Radeon 300 series graphics cards has been leaked and it’s surprisingly higher than the 200 series. This is especially surprising considering that the entire 300 series is rumored to be based on enhanced versions of existing 200 series GPUs. Except for the flagship Fury X and Fury cards which are reportedly based on Fiji XT and Fiji Pro. The leaked price list includes the upcoming Radeon 390, 380, 370 and 360 series. So without any further delay let’s check out the price list. It’s become evident that our suspicious were not misplaced. Our own internal sources have confirmed to us that the price list shown above is in fact not correct. We’ll share with you the new information in an exclusive article very soon. UPDATE 2 : Confirmed Radeon 300 series pricing. One thing we noticed right off the bat, is that AMD has increased the standard memory capacity on its x90 cards to 8GB from 4GB. They will also offer 4GB variants of Tonga, which powers AMD’s current R9 285 graphics card. Strangely it doesn’t appear that AMD will offer an R9 380X with Tonga XT silicon. We can also clearly see that AMD has retired both Cape Verde and Tahiti, the GPUs which powered the R9 280 series and the R7 250X. With the currently rumored pricing the R9 390X is positioned to tackle Nvidia’s GTX 980 in the $500 segment. While the R9 390 is positioned above the GTX 970. 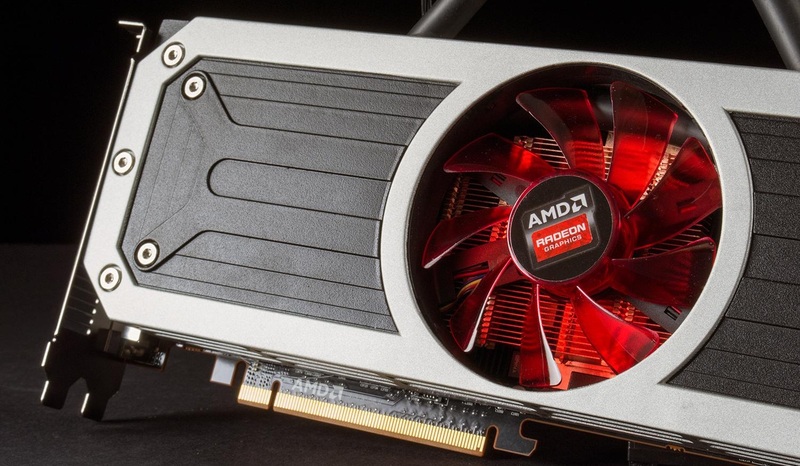 AMD’s R9 380 is positioned between the GTX 970 and the GTX 960. With the R7 370 coming slightly below the GTX 960 and the R7 360 positioned to go against Nvidia’s GTX 750 Ti. Something to note is that Sweclockers have been a very reliable source in the past except on rare occasion. For example they initially reported that the 980 Ti would have 3072 CUDA cores, something we now know to be false. Pricing is also one of the trickiest things to track down about upcoming products. Sweclockers claim that these prices are based on an AIB price list. We should point out that these are not always reflective of real world MSRPs. The GTX 980 Ti was listed at $800 before launch for example, $150 over its official MSRP. So remember to take these numbers with a pinch of salt, this is tagged as rumor for a reason. The Radeon 300 series is set to launch on June 16th at E3.